Blinds look great and can enhance the overall appearance of any room. They’re convenient, easy to use, and control light well. Unfortunately, cleaning them can be an exhausting and time-consuming chore that people tend to avoid. Over time, dust and grime accumulates on the blinds and that makes them look ugly. If you don’t have the time or the inclination to clean them, you should give us at Ace Carpet Cleaning a call. We offer excellent blind cleaning Redfern services for all kinds of blinds. We recommend that you get blind cleaning Redfern done very 12 to 24 months because that would keep dirt and grime accumulation at bay. The longer you ignore this chore, the harder and more expensive it’ll be to clean the blinds. Our cleaning process is simple, thorough, and quick. You can learn more about our services on this page. Here’s some information on the cleaning process. We’ll first inspect the blinds carefully and determine the material, condition, and level of cleaning required. After the inspection, our team will provide an accurate quote for the project. Our rates are very reasonable and highly competitive. If you approve the quote and hire us, we’ll carefully remove the blinds from the window. Some companies don’t do this and try to clean the blinds while they’re hung. That won’t clean them thoroughly, and will cause problems down the line. After we’ve removed them, we transport them to our facility and clean them there. Our technicians will brush and clean every corner and remove grime completely from the surface. Once the blinds are dried, we’ll test them to ensure they work well before we transport them back to your property and install them again. Equipment – We have the equipment needed to clean the blinds efficiently and ensure they’re not damaged in any way. Satisfaction Guarantee – Our company values customer satisfaction and work hard to ensure we deliver good results. You get a 100% satisfaction guarantee from us. Customers Like Us – We’ve received a lot of positive feedback from our previous customers. You can read feedback from our previous customers if you visit our True Local That would help you make the decision. 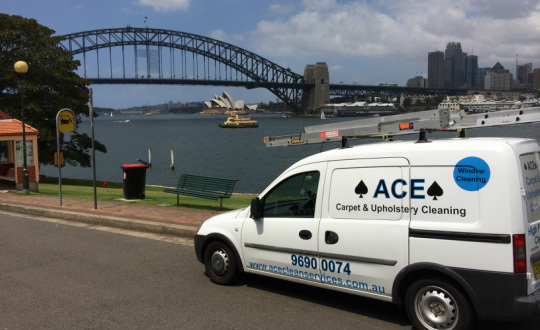 Want to know what our previous clients have to say about Ace Carpet Cleaning? Visit our testimonials page to find out. If you want to know more about us or hire our blind cleaning Redfern services, visit our contact us page or give us a call for a free quote on 0415 096 801.